(Reuters) – The White House has summoned the top U.S. general in Afghanistan to Washington to explain controversial remarks critical of the Obama administration, U.S. military and Obama administration officials said on Tuesday. The move comes a day after General Stanley McChrystal, the commander of U.S. and NATO forces in Afghanistan, apologized for comments by his aides insulting some of President Barack Obama’s closest advisers in an article to be published in Rolling Stone magazine. The controversy comes at an inopportune time for Obama, who already is dealing with huge BP Plc oil spill in the Gulf of Mexico, trying to get financial industry reform legislation through Congress and hoping to prevent Republicans from taking back control of Congress in November elections. 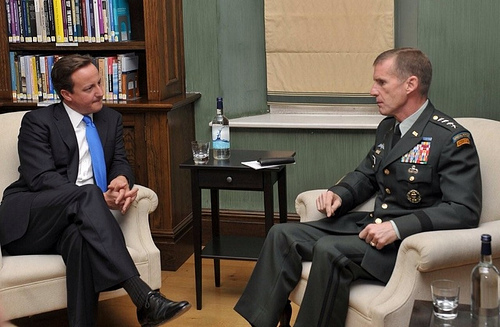 The military officials said McChrystal would be flying from Kabul on Wednesday. 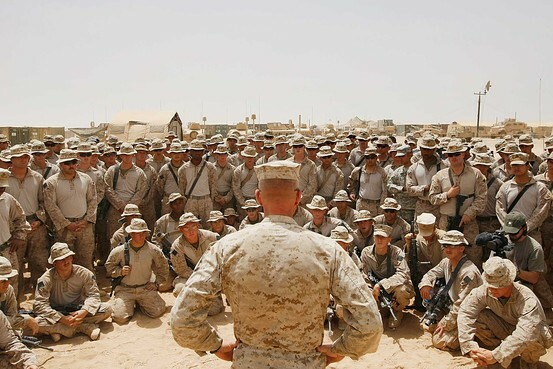 It was not immediately clear whether McChrystal would be ousted. The Rolling Stone article, to be published on Friday, also quoted an aide describing McChrystal’s “disappointment” with his initial one-on-one meeting with Obama last year. Admiral Mike Mullen, chairman of the military’s Joint Chiefs of Staff, spoke to McChrystal late on Monday and “expressed his deep disappointment with the article and with the comments expressed therein,” a spokesman for Mullen said. Mullen is the top U.S. military officer. said in a statement on Monday. The Rolling Stone article, which quoted several McChrystal aides anonymously, portrays a split between the U.S. military and Obama’s advisers at an extremely sensitive moment for the Pentagon, which is fending off criticism of its strategy to turn around the nearly nine-year-old Afghan war. It quotes a member of McChrystal’s team making jokes about Vice President Joe Biden, who was seen as critical of the general’s efforts to escalate the conflict and who had favored a more limited counter-terrorism approach. McChrystal was quoted as saying he felt “betrayed” by the leak of a classified cable from U.S. Ambassador to Afghanistan Karl Eikenberry last year. The cable raised doubts about sending more troops to shore up an Afghan government already lacking in credibility. McChrystal took command of all U.S. and NATO forces in Afghanistan in June 2009 after his predecessor General David McKiernan was removed for what most experts interpreted as a sign Washington was losing patience with conventional tactics that failed to quell mounting violence. Defense Secretary Robert Gates, who fired McKiernan, said on Sunday that McChrystal and other military leaders are confident that the campaign against Taliban insurgents, particularly in southern Afghanistan, is moving in the right direction. Gates also said on Sunday it was too early to be able to say how many U.S. troops would be withdrawn from Afghanistan and how quickly they would leave when a planned drawdown began in July 2011. White House Chief of Staff Rahm Emanuel said over the weekend that the July 2011 drawdown date was “firm,” adding that Washington was seeing signs that the Afghan government was making headway on security. In a profile by Rolling Stone titled “The Runaway General,” McChrystal is characterized as an outsider who did not relate well with the administration, and as a military leader who was “disappointed” with his first meeting with the president. One of the article’s most disparaging remarks comes from an unnamed adviser to McChrystal, who described the general’s first meeting with Obama. In the article, McChrystal said the president criticized him for speaking too bluntly about needing more troops last fall. McChyrstal also said he felt betrayed by U.S. ambassador to Afghanistan Karl Eikenberry for the ambassador’s criticism of Afghan president Hamid Karzai in a leaked cable. The General is reported to have been strongly critical of the Obama’s Adminstration’s “rules of engagement”. 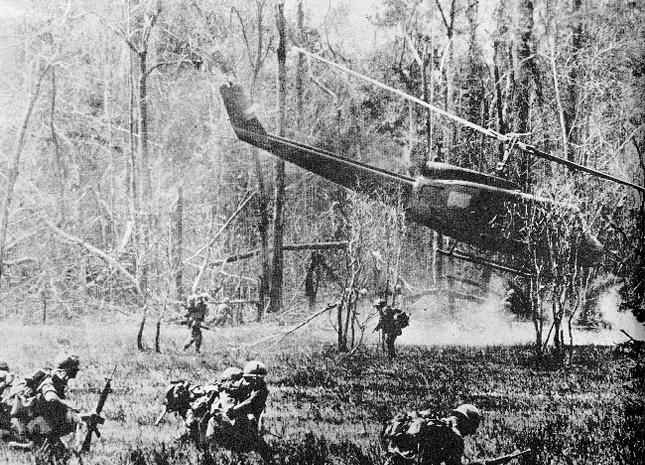 Congress’s rules of engagement in the Vietnam War led to victory for the Communists in that Country. I posted the following in June 2009. How Long Will It Take For Obama & The Democrats To Lose The War In Afghanistan & Iraq? KABUL – Gen. Stanley McChrystal, a four-star American general with a long history in special operations, took charge of U.S. and NATO troops in Afghanistan on Monday, a change of command the Pentagon hopes will turn the tide in an increasingly violent eight-year war. McChrystal took command from Gen. David McKiernan during a low-key ceremony at the heavily fortified headquarters of the NATO-led International Security Assistance Force in central Kabul. McKiernan was fired last month by Defense Secretary Robert Gates one year into a two-year assignment. McChrystal will command the largest international force ever in Afghanistan. A record 56,000 U.S. troops are in the country, alongside 32,000 forces from 41 other countries. His soldiers did the same as they checked and double-checked their weapons and communications equipment. Ahead was a dangerous foot patrol into the heart of Taliban territory. A soldier, who looked ghostly in the reddish light of a headlamp, shook his head. “We can’t do anything if we don’t have the ANA or [the Afghan National Police],” said a frustrated Capt. Thoreen. “It’s a framework to ensure cultural sensitivity in planning and executing operations,” said Capt. Thoreen. “It’s a set of rules and could be characterized as part of the ROE,” he said, referring to the rules of engagement. 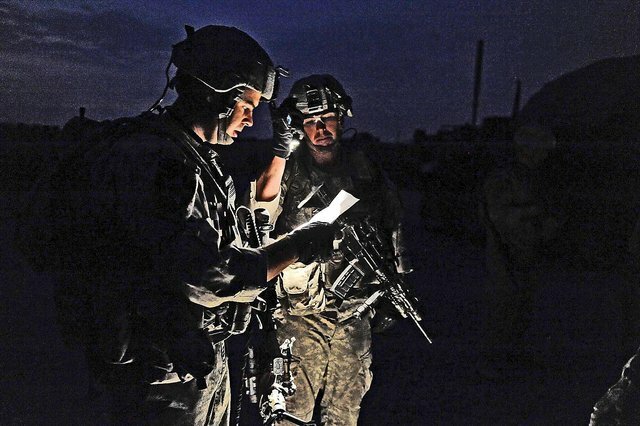 Dozens of U.S. soldiers who spoke to The Washington Times during a recent visit to southern Afghanistan said these rules sometimes make a perilous mission even more difficult and dangerous. 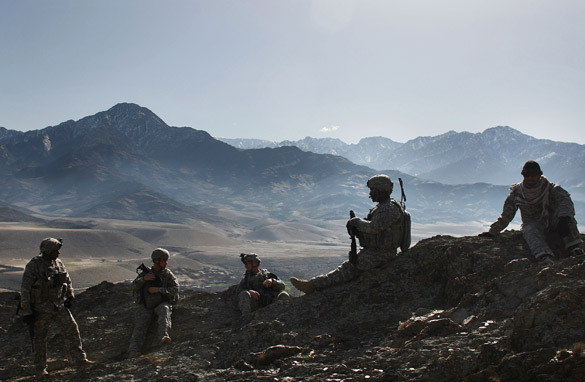 Many times, the soldiers said, insurgents have escaped because U.S. forces are enforcing the rules. Meanwhile, they say, the toll of U.S. dead and injured is mounting. By mid-November, Capt. Thoreen’s unit had lost five soldiers to suicide bombings and improvised explosive devices (IEDs). 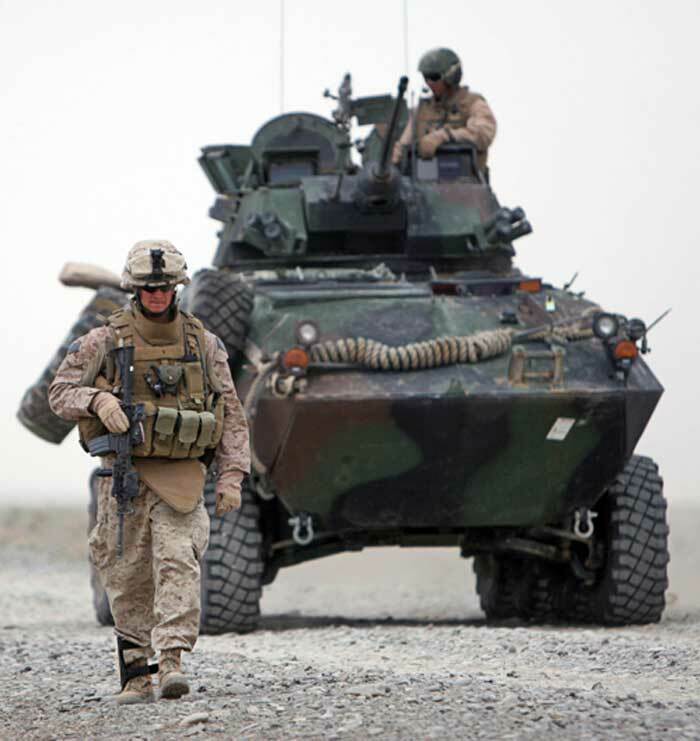 Many more had been wounded and three of their Stryker vehicles had been destroyed. • No night or surprise searches. • Villagers have to be warned prior to searches. • ANA or ANP must accompany U.S. units on searches. • U.S. soldiers may not fire at the enemy unless the enemy is preparing to fire first. • U.S. forces cannot engage the enemy if civilians are present. • Only women can search women. 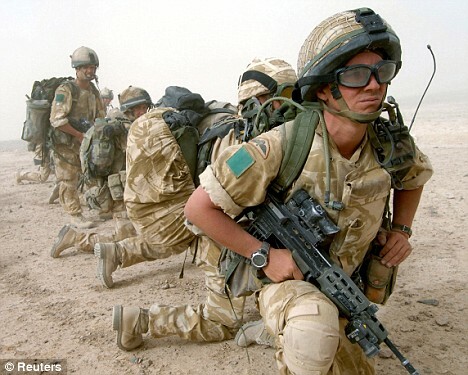 • Troops can fire at an insurgent if they catch him placing an IED but not if insurgents are walking away from an area where explosives have been laid. and insurgents in the poor Pashtun village of Kashk-E Nokhowd, combined with an effort to win over the village’s 200 residents by passing out toys, pencils and toiletries. Finally, a small ragtag group of Afghan police arrived to accompany the Americans. The Afghan army was a no-show. The police, some of whom who looked as young as 13 in their oversized uniforms, have a poor reputation in the local Maywand district for corruption and extortion. As the sun revealed the Red Mountain of Maywand, the soldiers headed out the gate of combat outpost Rath with weapons ready. They set up a security perimeter near a more than century-old British fortress, whose crumbling walls overshadowed the small outpost. In 1880, British and Indian forces fought and lost a battle here against Afghan forces led by a girl named Mawali, a Pashtun interpreter told The Times. He asked that his name not be used to protect himself and his family from Taliban retribution. The interpreter said this Pashtun Joan of Arc was buried not far from the village. On this day, however, there was not a woman in sight. Under the Taliban’s strict interpretation of Islam, women are discouraged from appearing in public and are supposed to be shrouded head to toe in burqas. Because of the Karzai 12 rules, U.S. forces have had to bring in American women to conduct searches of their Afghan counterparts. So Cpl. Amy B. King, 42, a medic from Springfield, Mo. ; Spc. Dionalyn O. Bird, 29, a cook from Bloomfield, Conn.; Spc. Toni Winkler, 20, a medic from South Carolina; and Sgt. Frevette J. Skelton, 31, a cook, entered the village with Capt. Thoreen’s men. Dusty little faces peered over ancient salmon-colored mud walls as the Americans entered the village. The children giggled and pointed at the soldiers. They kept walking in the soldiers’ direction but the soldiers did not raise their weapons. He then asked the man and boys to lift their traditional tunics to show the soldiers that they were not carrying weapons or explosives. Eventually, they were allowed to pass. The platoon members spread across and around the fields surrounding the village. An announcement from a dilapidated mosque alerted villagers of the impending search. Some of the men squatting outside the mosque looked stoic. Others stared in anger. In the mosque, the soldiers discovered a 9 mm handgun with clips. A U.S. civil affairs officer, who asked that his name not be revealed because of the nature of his work, said only insurgents carry such handguns. “Everyone here has Kalashnikovs, very few have these,” he said. The mosque’s imam, who gave his name as Sahed, walked alongside the U.S. soldiers down a narrow dusty road, followed by a gaggle of children. Civilian aid workers and State Department officials rarely visit Maywand because of security concerns, so development work falls on the U.S. military’s shoulders. “We have to be everything from the soldier to the engineer, water expert to medical care,” Capt. Thoreen said. “I tell my people in the mosque to not become suicide bombers and to not kill those who want to help us,” he said. The next day, however, the imam visited the U.S. combat outpost for the first time, bringing a gift of homemade yogurt candy. He told Capt. Thoreen that he had asked his people to stop targeting the U.S. soldiers. Capt. Thoreen said he appreciated the gesture but wasn’t sure whether the imam was telling the truth. “To some degree we are trying to pull the people of Maywand back over,” he said. Contacted by e-mail after The Times’ reporter and photographer had returned to the U.S., Capt. Thoreen described a clinic his unit had since hosted, which treated 75 locals including 20 women. “It was a huge success. The people are becoming much more open and friendly,” he said. As evidence of that success, he cited a drop in IED attacks on his soldiers. Day #55 in The Gulf! The Race Baiting Continues! According to the MSM and the “Talking Heads” that claim the title of “Democratic Strategists” there is no question. Oppose or criticize and you are branded a racist. As an American and as a Conservative I was elated to celebrate the election of our first black President, however, I was not willing to celebrate the election of Barack Obama, the man, nor am I currently willing to celebrate Obama’s policies. “Content of character not color of skin”. Oh how I wish our first black President would have been General Colin Powell. I can only speculate as to how General Powell would have handled our current set of crisis. While I’ll never know for sure, I’d speculate that under General Powell’s leadership we would now be moving towards securing our borders, that after 53 days the oil leak in the gulf would be capped. Under General Powell’s leadership, Operation Desert Storm only lasted 40 days (01/17/91 to 02/27/91) and the “ground war” with Iraq lasted a total of 13 days (02-14-91 to 02-27-91). I just can’t imagine General Powell conducting an international “bow and scrape” tour or engaging in a never ending set of apologies for America’s role in world affairs. I can’t imagine Powell embarrassing his Nation. I doubt that the national economy would be be any worse than it is today, if General Powell, if he were President, had simply ignored it. Yes, these are speculations, but my strong criticism of Obama has nothing to do with race. My speculation as to “what would General Powell do” has nothing to do with race either. When Obama was elected the Liberal Main Stream Media and the Democratic Party heralded the beginning of a “post-racial” America. Less than 18 months into Obama’s Presidency the MSM and the Democratic Political strategists are running to the familiar comforts of race and gender baiting. It is 2010, isn’t it time we move on? Let us remember and never forget the lessons of the 1960’s, even if those lessons are 50 years old! We, as Americans, need to learn and move on. To understand this is 2010 and not 1960. To learn from the past but not surrender to being a victim of it.